Email marketing is still one of the best ways to reach your customers, and your Photography business will only grow with a healthy email list. A full-to-bursting Photography email list will enable you to market your products directly to prospective customers and build stronger customer relationships. But creating a large list and utilizing it can sometimes cause difficulties, which is where we come in! 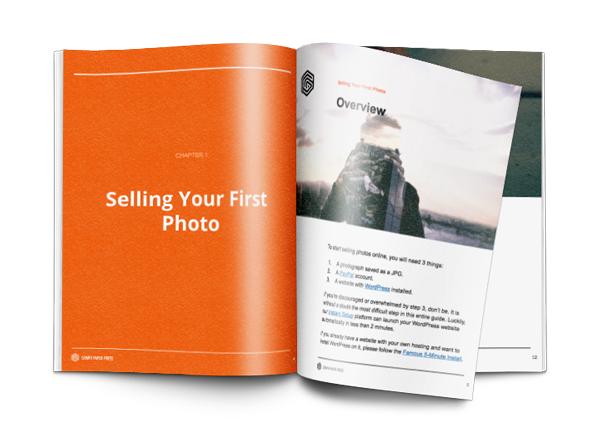 We’ve created the Sell Media plugin that enables photographers and other creatives to sell their work online. With the Sell Media MailChimp extension, customers can be added to your mailing list right from the checkout screen. In this post, we’ll explain why MailChimp is our email marketing solution of choice, then run through how to install and set up the Sell Media MailChimp extension – enabling you to passively grow your mailing list every time you make a sale. Creating and curating your email list is essential for a business. There are so many distractions that promise customer interaction and so few that deliver. Email marketing is still essential for every business, whether just starting out or established. Email is still ranked as the most effective way to inform and alert customers, generate leads and conversions and keep in touch with your central audience. Research also shows that people who are consume large amounts of social media are actually encouraged to check their emails more often, which means that no matter what your audience is doing, email is still the best way to reach your followers. MailChimp is an email marketing solution that’s used by millions of people to create and send newsletters as well as manage subscribers and email lists. MailChimp newsletters can be created by starting with a template and customizing it with a drag-and-drop builder, or by coding your own using HTML. While paid tiers are available, for many people the free tier is perfectly adequate – allowing up to 2,000 subscribers and 12,000 emails per month. The premise behind our Sell Media MailChimp extension is simple: it adds a checkbox to your checkout page enabling users to opt-in to your MailChimp mailing list. Purchasing the extension includes access to all 39 of our premium themes and all 15 Sell Media extensions. However, you’ll need a MailChimp account to utilize the extension – so let’s walk through how to create one. Fill out all of the fields, then scroll down and click Save at the bottom to create your first photography email list. The next step is installing the Sell Media plugin and MailChimp extension. Once plugin installation is complete, click Activate and move on to the final step – linking your MailChimp account to Sell Media. From this page, you can generate an API key for use with Sell Media. Select and copy the API key, go back to your Sell Media Settings screen in WordPress, and paste the key into the API Key field. Click the blue Save Settings button. Next, select your list from the Newsletter List drop-down and click Save Settings again. Now, whenever customers purchase an item, they’ll see the MailChimp newsletter sign-up checkbox at checkout. Open a MailChimp account if you don’t already have one. Install the Sell Media plugin and the Sell Media MailChimp extension. Create a new list within MailChimp, copy your API key, and enter it into Sell Media’s settings. Do you have any questions about using the Sell Media MailChimp extension? Let us know in the comments section below! This entry was posted in Blog, Photography, Tutorials and tagged mailchimp, marketing, sell media. Bookmark the permalink.